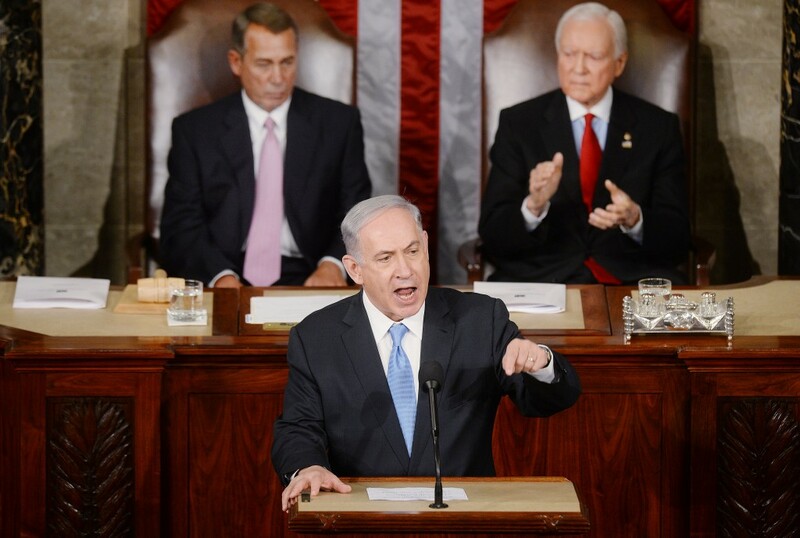 Israeli Prime Minister Benjamin Netanyahu’s decision to speak in front of Congress — without a Presidential invite — in the middle of his own campaign at home is worthy of admiration only for sheer boldness. In every other sense, Netanyahu’s decision to intervene in American politics to benefit his campaign while feigning obliviousness to the disrespect that his speech represents is deplorable — a slap in the face for the President of the United States and for America’s foreign policy interests. What really frustrates me, however, is not the riling up of the usual suspects in Congress, nor the fact that Mossad analysts have claimed that new sanctions on the table in Congress would “tank the Iran nuclear negotiations,” according to the Wall Street Journal, nor even the utter disrespect for both the office of the President of the United States and the man himself. No, what angers me the most is the ridiculously unbalanced nature of the alliance between Israel and United States, and the danger that unbalanced alliance causes for American foreign interests and, ultimately, the lives of American soldiers. The United States spends a ridiculous amount of its resources helping Israel for remarkably little gain in return, made possible by the political activity of groups like AIPAC and, even more unbelievably, the Israeli Prime Minister, in person. They offer a few key cases. While acknowledging Israel’s key role in defeating Soviet proxies in the Six Day War (Syria and Egypt), they point to U.S. aid to Israel during the October War as the cause of the infamous 1973 OPEC embargo and oil crisis which devastated the American economy, the need for the U.S. Army to devote Patriot Missile Batteries to “keep Tel Aviv from doing anything that might fracture the alliance against Saddam” and finally the fact that Israel could not commit any resources in 2003 to combat Saddam Hussein as evidence of Israel’s being a liability, not a help. Even further, though many argue that today the United States and Israel share military aims against terrorists, Mearsheimer and Walt disagree with the foundational reasoning: “Saying that Israel and the United States are united by a shared terrorist threat has the causal relationship backwards,” they write. “Rather, the United States has a terrorism problem in good part because it is so closely allied with Israel, not the other way around.” Although it is not the sole source of terrorist anger, allying with Israel — and not doing nearly enough to limit its slow process of colonizing the West Bank and destroying Gaza — has gone a long way towards painting a big red target on American backs, with little for Americans to reap in return. Now, all of this would seem very cold, and perhaps, many would say, cowardly, to drop an erstwhile ally in such a way (the two scholars are classified by many as Realists). It would seem that way if one didn’t realize the depth of Israel’s disloyalty to the United States. Returning to Mearsheimer and Walt, Israel has not only had the “most aggressive espionage operations against the U.S. of any ally,” it has also been accused of providing “sensitive U.S. military technology to potential U.S. rivals like China, in what the U.S. State Department Inspector‐General called ‘a systematic and growing pattern of unauthorized transfers.’” That doesn’t sound like an ally that I want. The role of foreign lobbies in American politics is growing, and will only continue to grow, it may seem, with reports of think tanks such as Brookings and the Atlantic Council taking foreign funds. Yet the amount of leverage that Israel can muster in American political circles has not only stymied debate on our relationship with Israel, it has actively damaged American interests. Making a nuclear deal with Iran and bringing it back into the international community is a fine goal, one that is clearly better than the only alternative, one which Prime Minister Netanyahu almost seems to want: war with Iran. I recognize personally that discussion of Israeli influence in the United States can tack far too closely towards anti-Semitic arguments about power, control and Jewish conspiracy. I want to be clear in saying that at the end of the day, if Israel were attacked, as inheritors of FDR’s legacy of halting interstate aggression, we should defend it. Of course we should — only true monsters willingly ignore the legacy of the Holocaust. A United States not allied with Israel, however, not required to pay billions to a country that refuses negotiation on the international scale, that gets the sweet end of the deal every time for little return, that builds settlements into territory of an oppressed people, can also stand up to defend Jewish lives and culture with respect to the amount of hurt they have experienced. Outside of that case, I do not see the benefits of American soldiers going to war and going to die in Iran because Bibi Netanyahu thinks he can bully his way into our politics and override our better interests.